Oldtown Farm, located in Walnut Cove, North Carolina, was established in 1981. The family farm is owned and operated by Bill and Ann Smith on land with over a century of farming heritage. We are Certified Naturally Grown using sustainable farming practices. 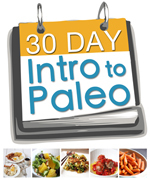 Our goal is to promote genetic diversity in our plants by growing mostly heirloom and open pollinated vegetables. Although we grow a variety of vegetables, our passion is growing heirloom and open pollinated tomatoes. We hope to do our part in preserving these varieties for future generations. This year we have numerous tomato varieties encompassing a kaleidoscope of colors and a complex range of tastes. 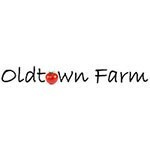 If you are looking for the perfect tomato with the flavor to inspire culinary creations, spark up a dull salad, stuff, snack on, create salsa, prepare sauces or to make a delicious “mater” sandwich…..Oldtown Farm grows the right variety for you.